Puerto Morelos is the little-known Caribbean gem every savvy traveler wants to know more about. 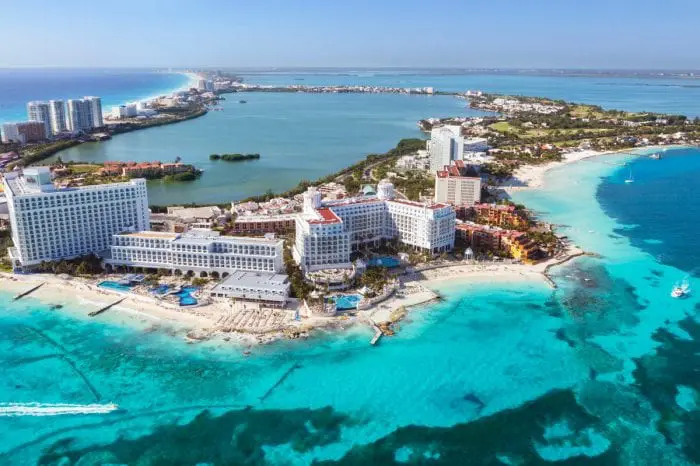 This almost-forgotten town offers a serene and peaceful escape from the hustle and bustle of neighboring mega-resort areas such as Cancun and the Riviera Maya. No doubt, you love your creature comforts, but I sense you’re an adventurist too? Have you ever heard of the term Chicle? It’s a resin used to make chewing gum. 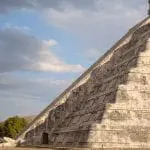 Not only did the ancient Maya contribute huge wisdom to our vision of astronomy and architecture they contributed their knowledge to something within the reach of almost everyone today: chewing gum. Known among the Maya as “sicté,” meaning “essential fluid,” it was completely natural, with white color and without flavors or added sugar. It had a special manufacturing process that only the ancient Maya had mastered. 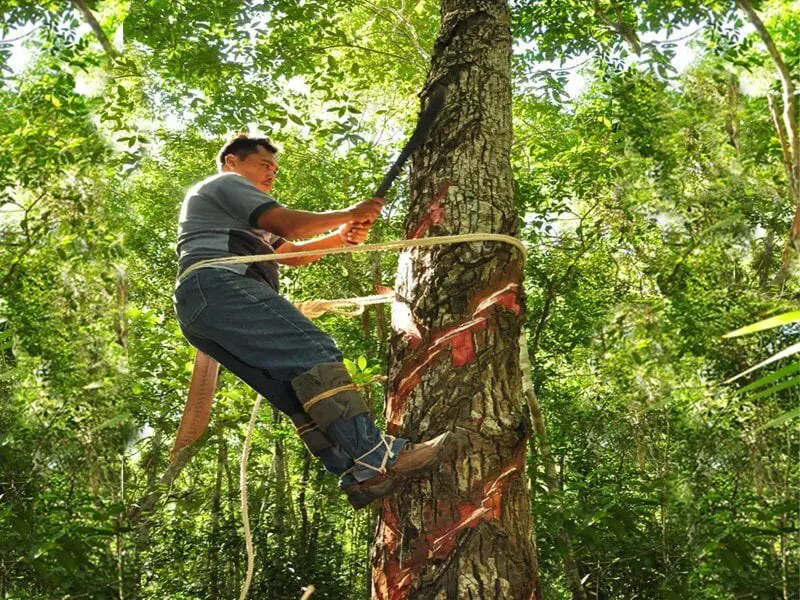 The gum was boiled and shaped into bricks, loaded onto a railroad, pulled by mules or horses over tracks through the jungle to Puerto Morelos, then shipped around the world. Puerto Morelos is unique because it is the only deep-water port in this neck of the sands. In the mid-1900s manufacturers started using a cheaper synthetic base for their products, thus taking away the port’s main business. However, since then not much has changed. That’s what makes this place so great! You’re guaranteed to meet some of the friendliest people in the world, learn a little history, and truly unwind in a serene and laidback atmosphere. Puerto Morelos can be located just 36 km south of Cancun and 30 km north of Playa del Carmen. Back in 2015, the town merged with the village of Leona Vicar to become the 11th municipality in Quintana Roo. It is now one of the oldest, largest, and most important seaports in the state of the region. The town is divided up into three sections. Largely by highways and mangroves. 1. West of the highway is known as “Colonia Joaquin Zetina Gazca“. 2. The section east of the highway is called “Colonia Pescadores”. 3. 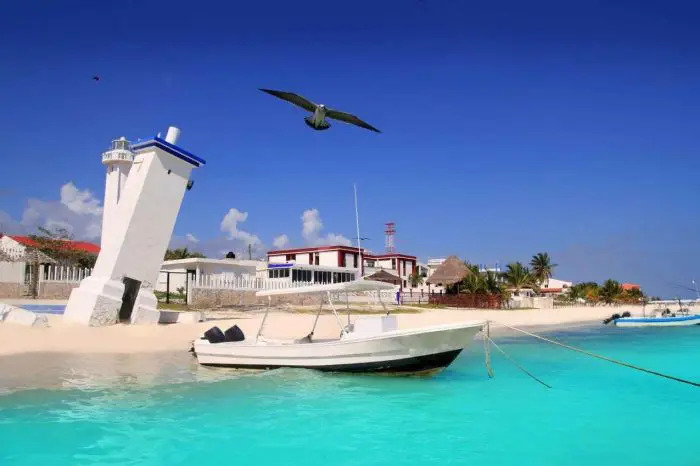 And on the east coast, you have “Puerto” or “Antiguo (old) Puerto Morelos” (the original fishing village, now characterized by private homes, hotels, condominiums, restaurants, and tourist shops while simultaneously retaining its original charm). 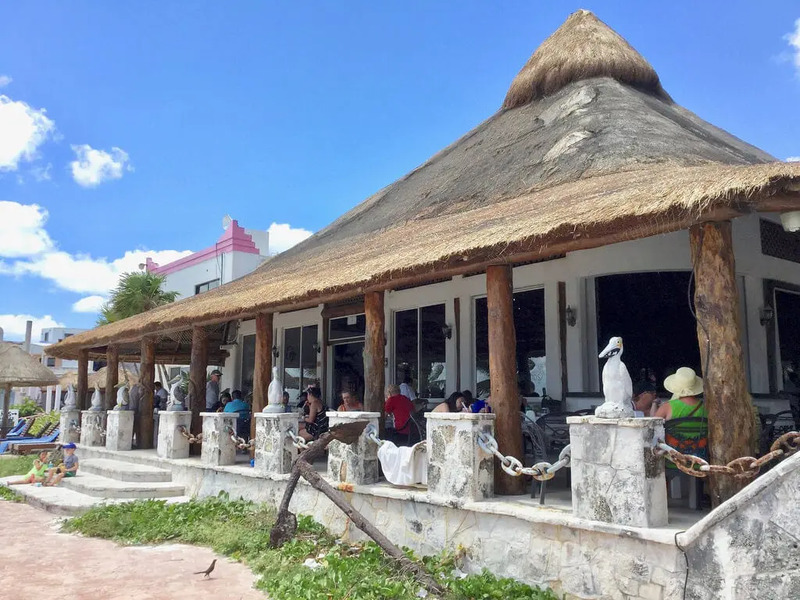 Puerto Morelos offers a stark contrast to the 500 hotel-resorts, sprawling cities like Cancun City, Playa del Carmen and Tulum City, theme parks, block-long discos, shopping malls, zip line mazes and the like, that draw over 8 million visitors a year. You’re on vacation in a tropical paradise, of course, you are going to want some valuable rest and relaxation time on the beach and in the beautiful water. 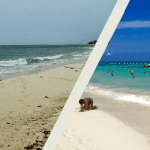 Generally, speaking beaches in Puerto Morelos are wide, sandy, uncrowded, and groomed every single morning! Whether you are just visiting for the day or choosing to stay in Puerto Morelos there is something for everyone. The world’s second largest barrier reef that can found just 400 meters from the shore of Puerto Morelos protects its beaches from any rough surfs. Perfect if you have children because there are no big waves crashing in. 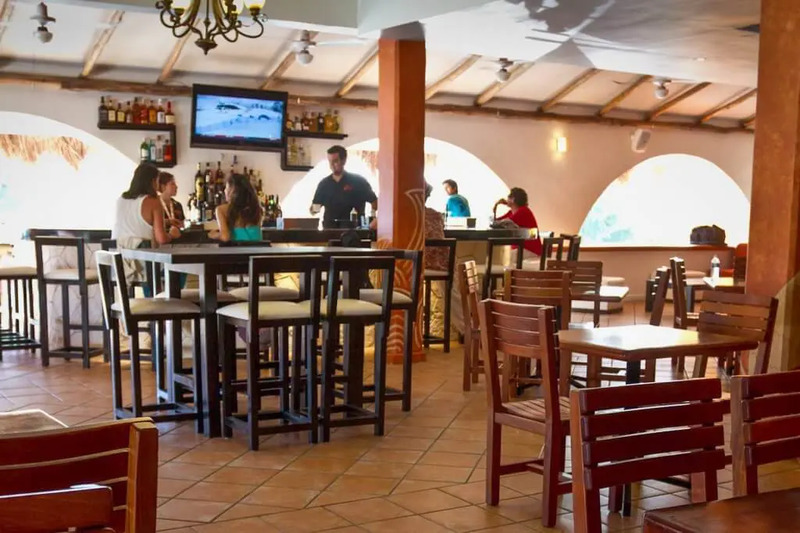 If you are just passing through or visiting for the day the beach located right in the center of town in front of Pelicanos Restaurant is the place to be! This stretch of public sand is flanked by two private resort beaches, but it is equally as beautiful. The water here is fit for snorkeling so be sure to bring your gear with you. 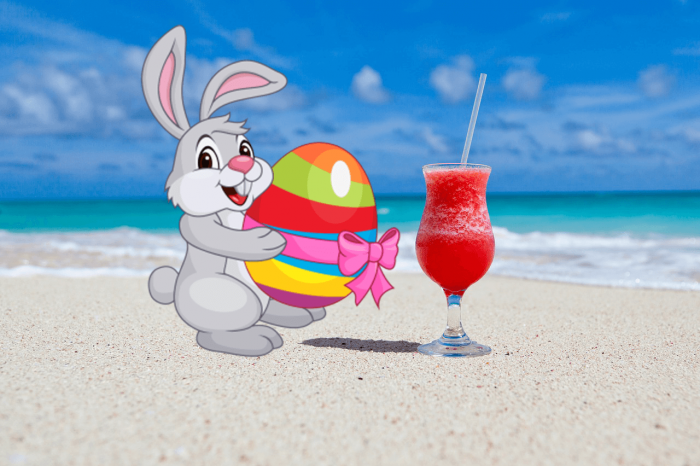 However, if you do forget to bring it you will be able to buy some locally on the town’s main square or rent some from one of the locals just past the pier. For the most part you can wade right out into the water on a nice sandy bottom, however, there are some areas that can be a little rocky so to be on the safe side be sure to bring water shoes with you. Or do you really want to practice your skills somewhere? 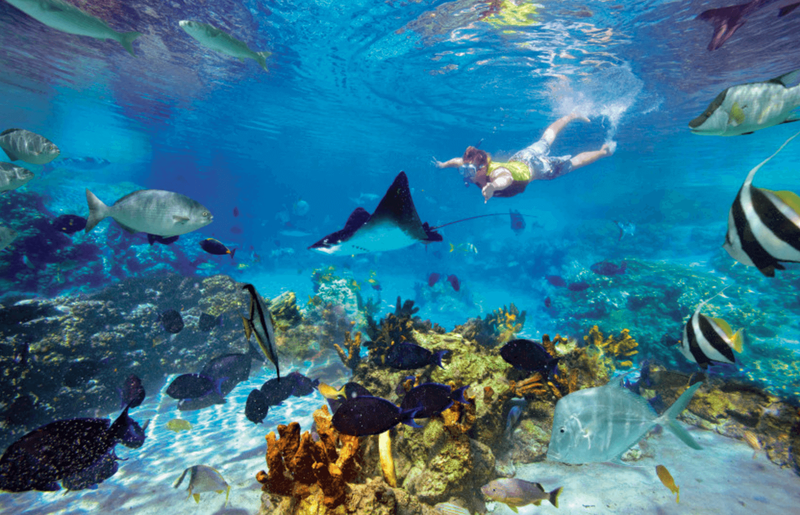 Puerto Morelos boasts some of the best snorkeling in the region. All thanks to the world’s second largest barrier reef. This thriving ecosystem is home to an array of colorful tropical fish and marine life (over 65 species in total). If you’re lucky you may even see a turtle or two as this is where they breed during certain seasons. If you consider yourself a somewhat advanced snorkeler and want to dive, Puerto Morelos Reef National Park has many offshore dive sites. If you get seasick when riding on a boat for too long, fear not! The reef in this part of the region is extremely close to the shore. 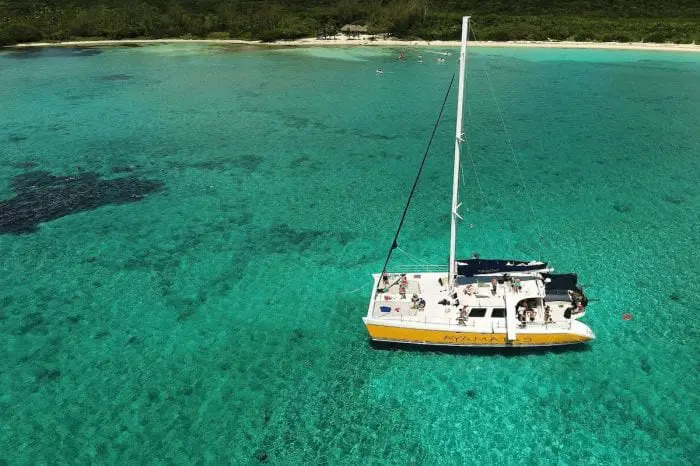 You can even pay locals a modest amount sometimes as low as 100 pesos, but usually around 300 to take you out to the reef to let you snorkel around for an hour. If you don’t consider yourself a strong swimmer, this place is perfect for you because the water is so shallow. All you really have to know what to do is float! You can’t come to Puerto Morelos without exploring what lies beneath these dazzling turquoise waters. In the interests of preserving this wonderful experience please do not touch the fish or the coral, and if you can be sure to wear biodegradable sunscreen and bug repellent. If you’ve done your homework on Mexico before visiting you’ve probably heard or come across the word cenote. These incredible natural phenomena are one of the Yucatan’s most distinctive and unique natural wonders. Formed over millions of years these freshwater swimming areas are visually stunning to behold. You don’t want to miss out. Cenotes should be on everyone’s bucket list. Trust me, nothing quite compares to the real thing. Before I decided to up my life into a suitcase and live here I had never even heard of them. Once considered by the ancient Mayans are the portals to the netherworld these days they offer an amazing refuge from the Mexican sunshine. The perfect place to cool off and submerge yourself in water that feels holistic to the skin. Cenotes are great if you don’t particularly enjoy swimming in the sea, or don’t like salt water. 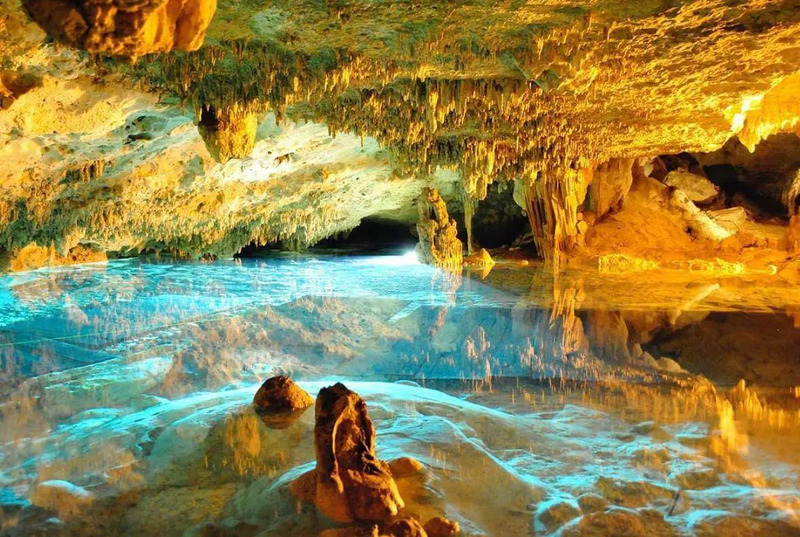 There are four different kinds of cenotes in Mexico, open, semi-open, cavernous, and ancient. Expect pristine clear waters, impressive stalactites/stalagmites, and lots of beautiful fauna and jungle. 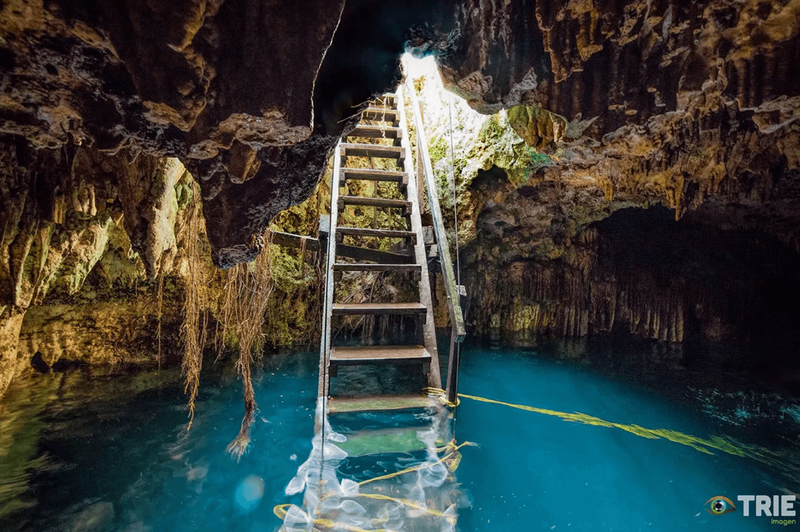 Many cenotes have different depths meaning that you can stand up or sit down in parts and usually have deeper areas where you cannot touch the bottom. Just as the name indicates this cenote has 7 mouths or air holes, some of which are interconnected and underground, allowing you to move from to another without leaving the water. Swim through the tunnels as you admire the tree roots looking for the sweet water of the cenote. Occasionally a gorgeous light beam will come dazzling in providing a spectacular view. Depending on how brave you are you can even dive in from a height in one part. This place is run by a local Mayan family. The palapas, temazcal, dressing rooms, kitchen, and more facilities make this a great choice if you want to spend an excellent evening with friends and family. Directions: Take the turnoff at km 15 towards a small town by the name of Central Vallarta, there will be a turnoff on the right which will lead you to this beautiful spot after about 1 km. Cenote Verde Lucero (translates as a green star) is located in the middle of the lushest selvatic vegetation. It is an open cenote that reaches 7 mts high, surrounded by flowers and beautiful fauna. There’s even a zip line from which you can jump into the water (how cool is that)! If you’re not such a confident swimmer, fear not, there are ropes you can hold on to the whole way across. Verde Lucero is without a doubt the perfect place for a fun family trip. Directions: To get here take the turnoff to the left on Km 17 about 100 meters down the road is the cenote which can be reached by walking from the main road. 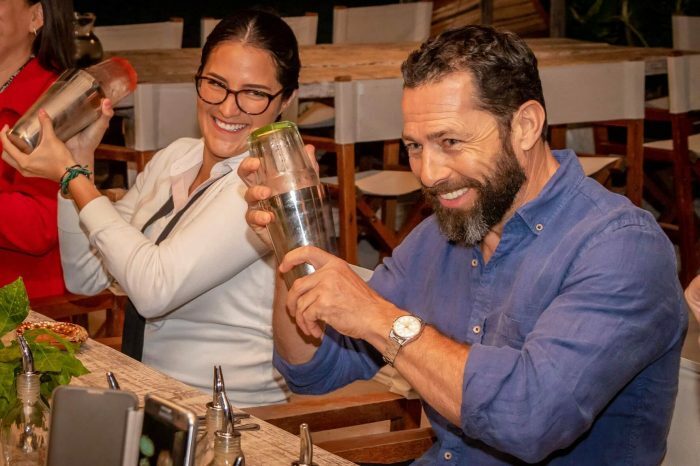 If you’re retail crazy and like to shower yourself with expensive gifts on vacation, then Puerto Morelos is not the place to do it! Most of the shops here are the ones that line the town’s main square. 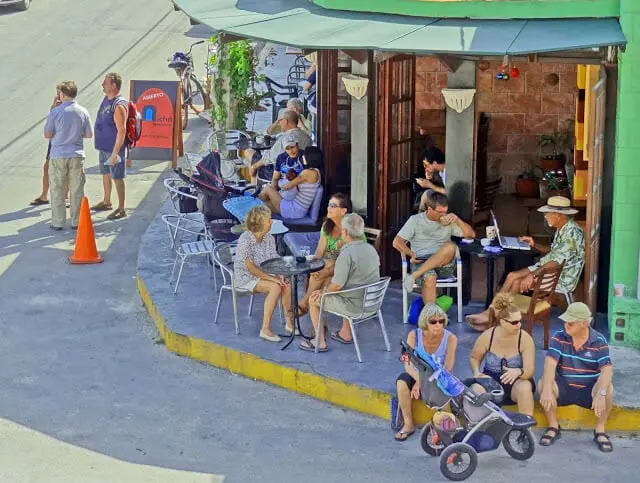 Here you’ll find authentic Mexican goods, delicious local treats, and even a flea market! The locals here are very kind, not pushy like other places in Mexico. It’s never crowded and you’re guaranteed to find a great deal! You can walk from one side of the village to the other in 15 minutes or so, and you won’t spot the likes of a Mcdonald’s, Taco Bell, Pizza Hut or anything of that caliber here. You won’t be bothered by vendors or timeshare salesmen either. Just get ready to soak up the incredible atmosphere, and enjoy without being hassled by jewelry or blanket peddlers. The perfect place to bag all of your souvenirs. If you’re interested in checking out the flea market there are no real signs for it but it is easy to find. It can be located on the south side of town, in the middle of the street area. 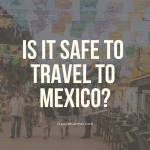 This is somewhat a touchy subject when discussing Puerto Morelos because people like me want to ensure that the town retains its old world charm even in the face of tourism. I can honestly say that city officials and hoteliers have struck a remarkable balance between the two. This town will never look even remotely like surrounding towns of Playa del Carmen and Cancun. They have each made a pledge to preserve the village’s old-world ambiance. For example, an association of local hotels is working with the city to spruce up its downtown area by planting more trees, painting worn out spots and adding benches and trash cans. 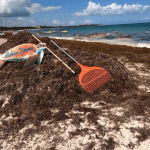 In the hotel areas, all newcomers to Puerto Morelos must replace any trees or plants cleared out during construction, and only low-rise buildings are allowed. There are many hotels in Puerto Morelos, and based on your wants and needs our Expert Travel Planners will be able to assist you better. But for the sake of this article, I will introduce you to three of my favorites. If romance and live music is your style then it’s guaranteed you’re going to love it here. 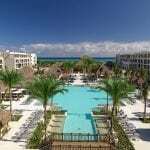 Excellence Riviera Cancun is a classic all-suite Mediterranean-style resort, crafted from stucco, tile, and marble. It’s a tropical fantasy perfectly designed to be in harmony with its lush surroundings. The hotel boasts 6 winding pools for you to cool off in, well-appointed accommodations, and an incredible Spa. 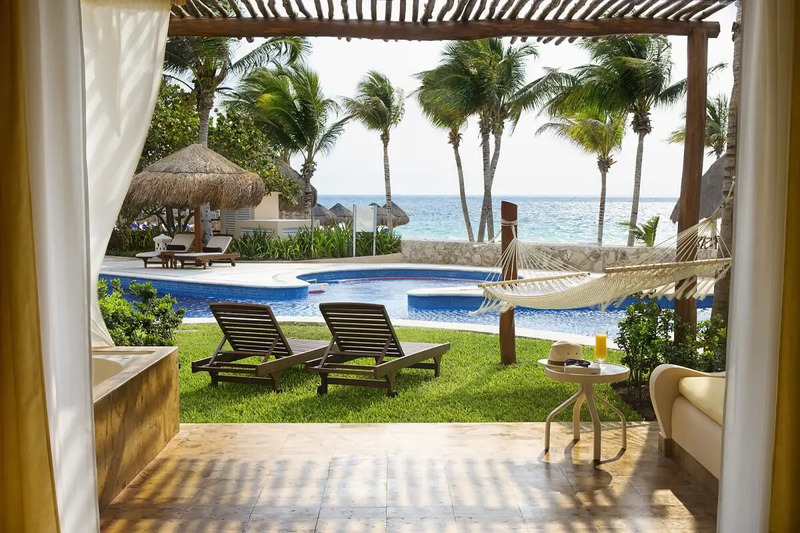 A stay at this hotel will feel secluded in the luxurious tropics but also set you up to be in close proximity of towns like Playa del Carmen (if you like shopping) or Tulum (if you want to discover ancient archeological ruins). With ten international restaurants, foodies will never want to leave. Endless activities include sun-up yoga and night shows at the theatre. Perfect for couples, weddings, family reunions, or groups of friends. 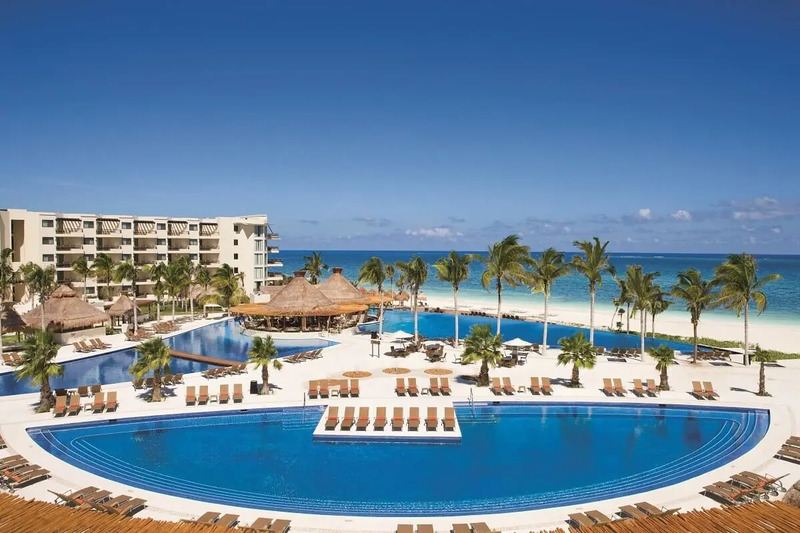 Secrets Silversands Riviera Cancun is an all-inclusive, adults-only resort surrounded by the warm crystal clear waters of the Riviera Maya. This AAA Four Diamond Resort combines style, sexiness, and sophistication to provide an unparalleled vacation experience. You’ll enjoy gourmet restaurants, world-class amenities, and incredible activities and entertainment. The rooms have been elegantly furnished to exude luxury, and include remarkable pers such as 24-hour room service, in-suite jacuzzis, and a premium stocked minibar. If you do like to stay connected all guests have access to free unlimited WiFi throughout the resort. Plus, free international calling and a mobile app that is constantly updated with the resort’s available activities and entertainment. There are nin restaurants that offer different choices ranging from a light snack to a romantic dinner on the beach. The á la carte restaurants offer international cuisine including French, Mexican, Pan-Asian, Seafood, Italian and Mediterranean or visit the buffet for a variety of flavors from around the world in one place. 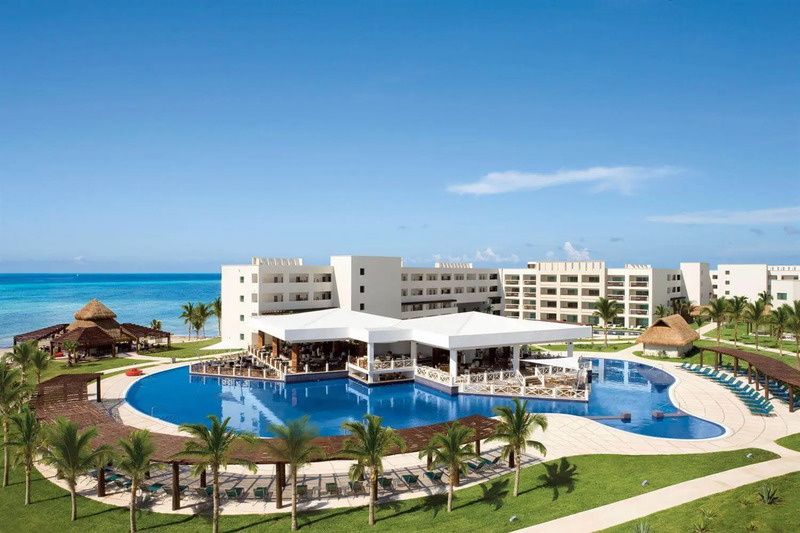 Dreams Riviera Cancun is set along a natural white-sand beach in the Riviera Maya, surrounded by lush gardens and the beautiful Caribbean ocean. This family-friendly resort is one of the hottest properties in the area boasting elegant accommodations, gourmet food, and a world-class spa. Thie AAA Four Diamond resort is an enchanting tropical paradise. The suites with an ocean view all have unique octagonal-shaped rooms. Most of the ground floors suites offer private plunge pools. For children, there is a heated kids pool and a Mayan-themed Explorer’s club featuring a planetarium and Chichen Itza climbing wall. It’s both educational and fun. Dreams Riviera Cancun goes far beyond the all-inclusive experience with Unlimited-Luxury®, where nearly everything is included. Experience Unlimited-Luxury, a concept exclusive to AM Resorts. A wide range of activities are available including sports, games and a kids club to entertain the little ones. A world-class spa awaits with a list of services including body treatments, facials, and massage. 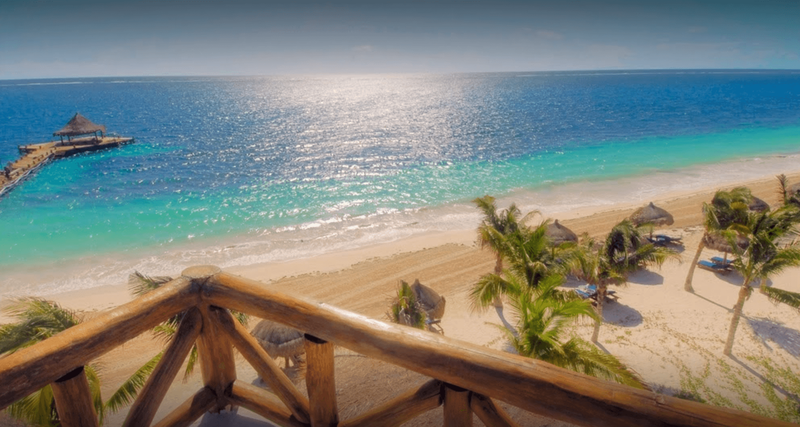 Although a stay in Puerto Morelos may feel more secluded than if you were to stay in Cancun or Playa del Carmen, it doesn’t mean that you are limited to a number of things you can do on vacation. Your options here in the Riviera Maya are endless. Staying anywhere along the Cancun-Tulum corridor sets you up in a prime position to enjoy all of the regions top attractions. 1. 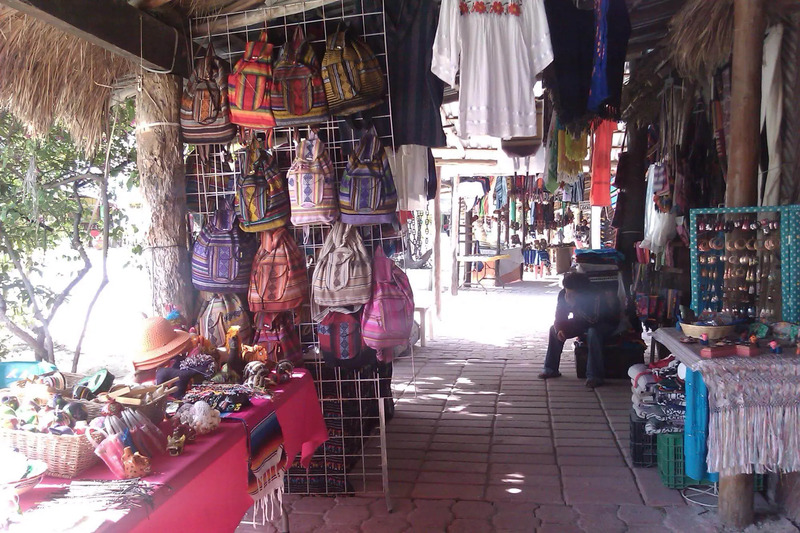 The Old Market Di – Flea Market – shopping for local and authentic Mexican souvenirs. 2. The Leaning Lighthouse – This lighthouse has become an iconic symbol of the city. You can’t visit this gorgeous town without getting a picture next to it. The strongest hurricane of the 1967 Atlantic season, Hurricane Beulah, damaged the foundations of the lighthouse hence its leaning position. Plans were made to remove the structure, but after an outcry from locals, town officials agreed that the leaning lighthouse would remain a symbol of the town’s strength. Golfers will be pleased to know that there is a celebrated golf course in the area. 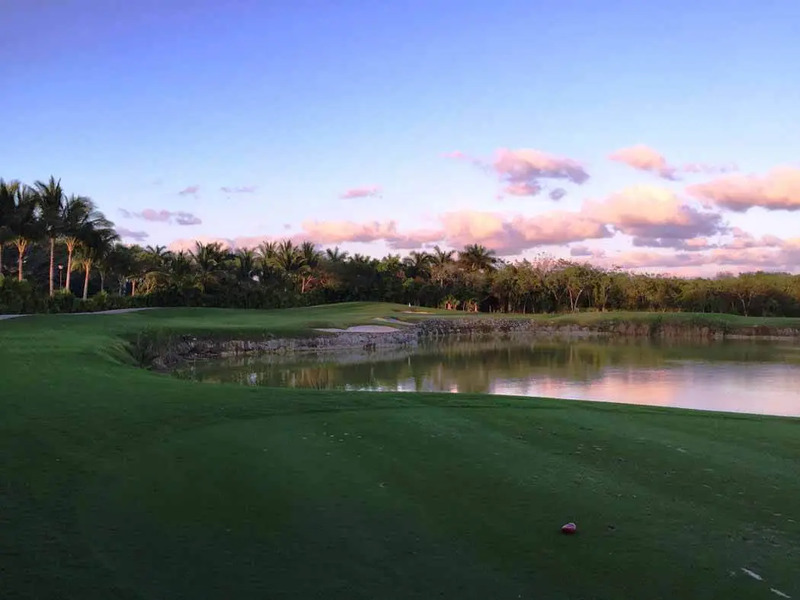 If you are interested in planning a Golf Vacation our specialist vacations team is here to help. We help hundreds of people like you each year get their groups organized and take the stress out of planning. 4. Rodeo Arena – if you are visiting at Christmas each year locals hold a bullfight in this arena while parading the status of Guadalupe around. The Riviera Maya is celebrated for its large range of vacation activities to suit all ages. Combine 2 of the Riviera Maya’s most stunning attractions: the Tulum ruins & Xel-Ha Eco Park! Roundtrip transportation is included + tour guide. Explore the wonder of the Tulum Ruins situated on a picturesque cliff top by the sea with your tour archaeological guide. 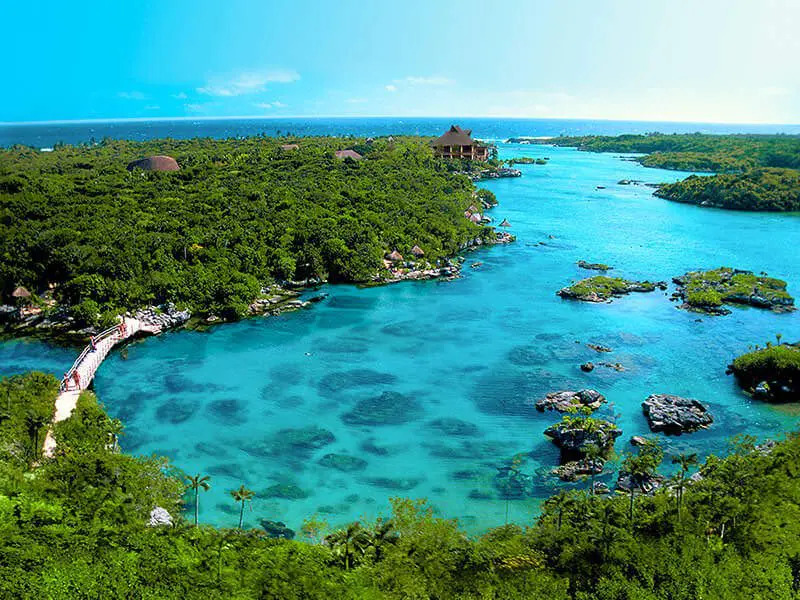 Then, cool off at Xel-Ha where you can snorkel with tropical fish, take a tube down the lazy river, try the zip lines or the cliff of courage. You will even have time for a nap in the hammock gardens. All your food and drinks are included as well as your equipment. Rev’em up! 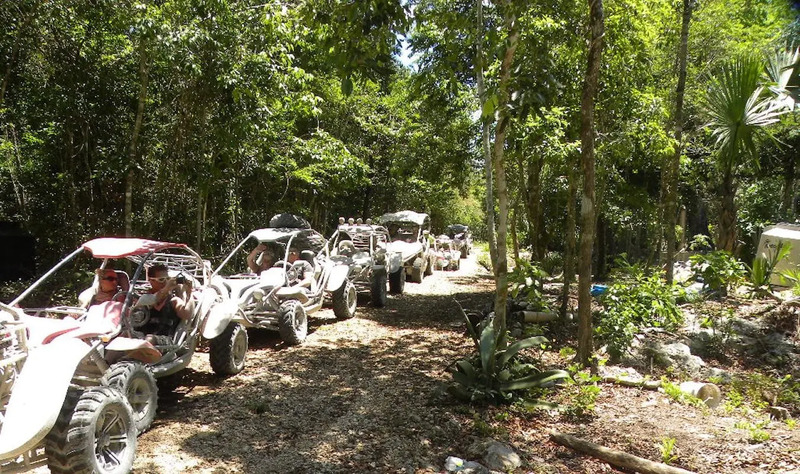 Put your pedal to the metal on our Jungle Buggy Tour. 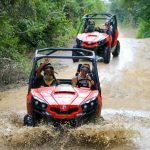 Perfect for petrol heads this excursion offers the chance to get down and dirty in the jungle. 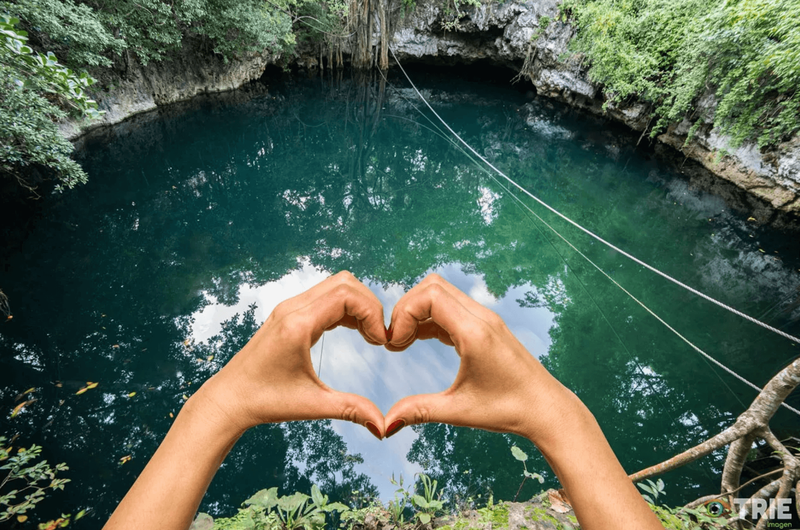 Not only will you get to drive your state of the art 4×4 through the winding tracks, you will stop for a refreshing dip in one of the most beautiful cenotes in the area. 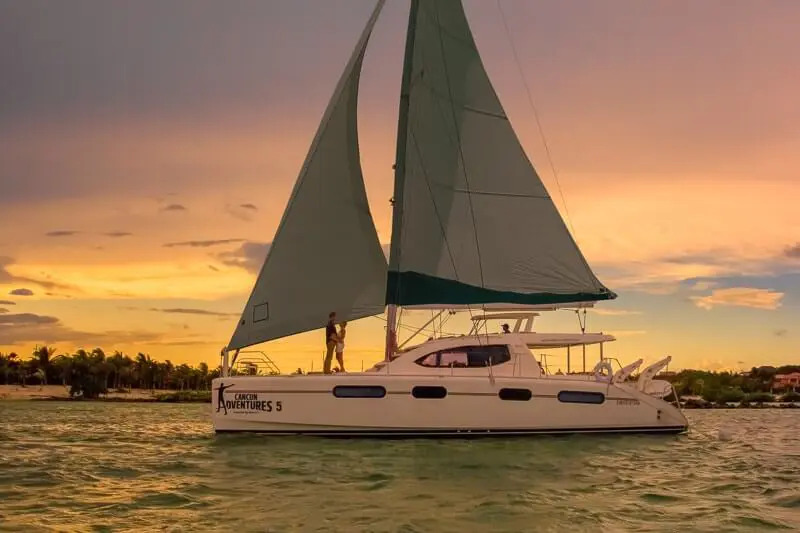 Experience a Caribbean sunset aboard a luxury catamaran cruise. Perfect for couples and groups of friends! 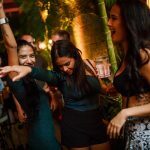 Enjoy open-bar, snacks and good company! Check out our activities page here for a complete guide on what there is to do in the region. You’re soon to discover how bursting with flavor Mexico is. 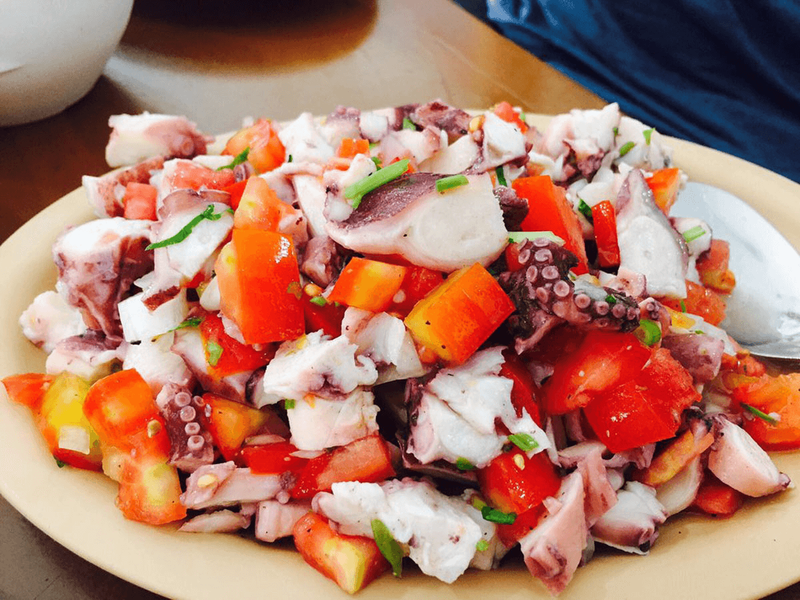 Most of the best restaurants and eateries in Puerto Morelos are located close to the town’s main square. Above the Casa Martin Grocery. Open early until late with a siesta in the afternoon. On the beach & south corner of the Town Square. 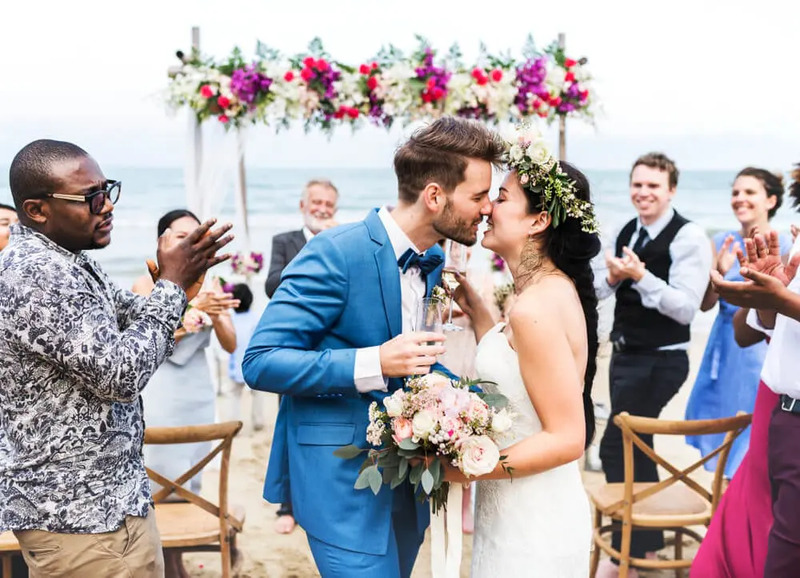 Thinking about having your dream wedding in Mexico? We organize 100s of weddings in this region each year. Our dedicated weddings team are here to help bring your dreams to fruition. With literally 1000s of hotels to choose from, we understand how stressful it can be choosing the right one for you. Based on your vision we will narrow down your search and present you with the best options. 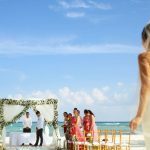 There are many hotels and locations in Puerto Morelos that would be perfect for celebrating your love and marriage. Contact our weddings team today for honest, unbias advice. It’s time to get the ball rolling! 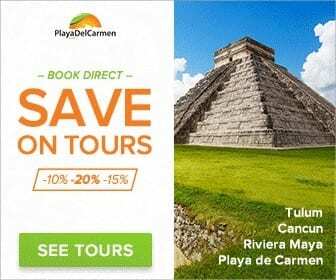 Here at PlayaDelCarmen.com, we are the experts at navigating the Riviera Maya. 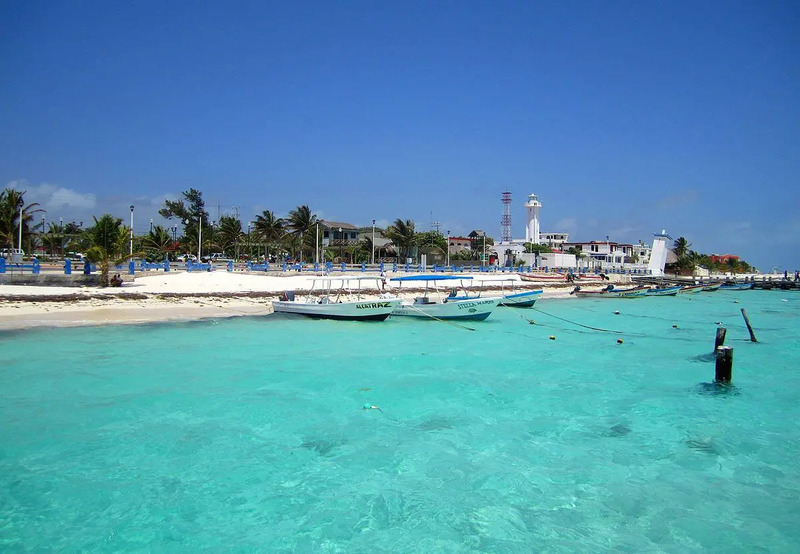 Puerto Morelos is one of our favorite coastal towns in the region. You’ll understand why soon. We’ll help you get discounts on everything! Get in touch today, or leave us a comment in the section below, we would be happy to help. ? We can help you get the best prices on hotels and tours in Puerto Morelos. Just wondering about our small dogs, 2. Can they walk downtown along the beach. Curious as to the status of the construction in the main square? We were in Puerto Morales this time last year and all the roads were torn up and it was a bit of a mess! Hey Tera, great question. I am pleased to inform you that the works in the center are now complete.